I’ve had a fascination throughout the years with following Commencement Speeches…and yes, I know it’s not the most exciting thing in the world, but it’s just a silly ol’ thing I enjoy! 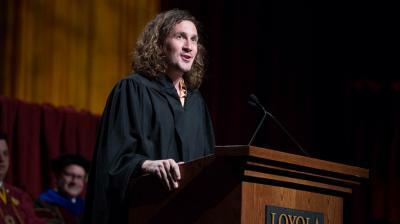 So far, (and I’m thinking it will stick,) the one delivered at Loyola University’s recent graduation by Ian Brennan, co-creator of the smash-hit tv series Glee, is my favorite for the Class of 2015. You will laugh, tear-up, learn and most definitely be inspired!! 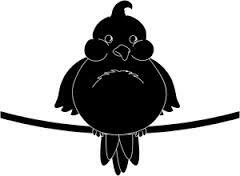 Mr. Brennan references the book “Bird by Bird,” by Anne Lamott in his commencement speech. I have my own dog-earred copy of this book, which is a wonderfully written piece on ‘Some Instruction on Writing and Life.’ Ms. Lamott’s written wisdom continues to stay with me in the webby-cob-webbed parts of my thoughts as I’m writing sometimes! Long ago, when I first started a true commitment to journaling, this book helped to give me the strength I needed most days to use my own “voice,” without doubt or fear of judgement, (of myself.) I appreciated the reminder that I still today continue to draw strength from her wisdom as my voice is shared in my bloggity-say-I blog space! And should you wish to read this book too, you may borrow my copy! Next thunder rolls into 50!